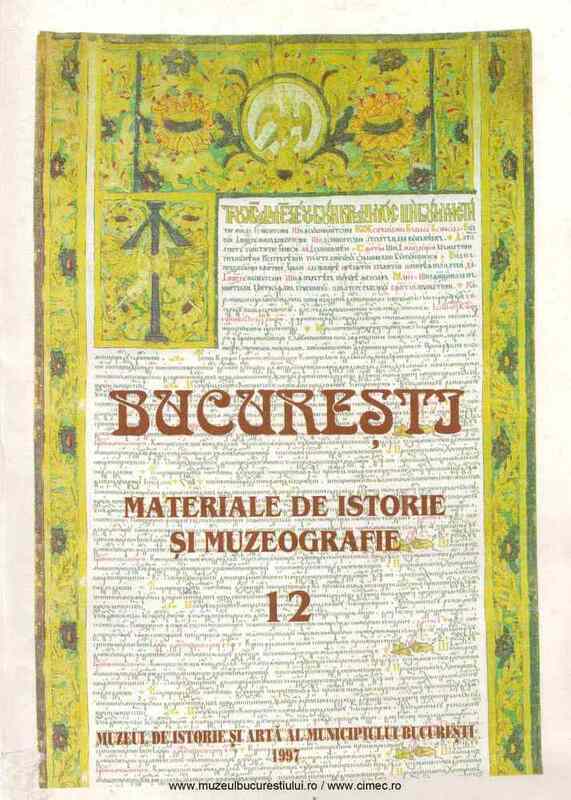 Subiect: In the decorative art co/lection of the History & Art Museum of Bucharest are some porcelain and glass pieces on which are painted arms of the United Principalities from the time of Alexandru Ioan I (1859-1866). In this article, the author presents: a) unpublished arm (cat. 2-4, 6); b) published arms, but having incomplete description (cat. I, 5). The study has the following structure: 1) the description of the heraldic sign against its support (porcelain or glass); 2) the discussion of the arms in series of the same type or by comparison between different types. For this purpose, it has been proved very useful the observation of the porcelain’s marks (belonging to the decorator or to the customer). This type of approaching the subject (from complementary and convergent points of view) has allowed the author to confirm some hypotheses as well as to enlarge the discussion by raising new problems. The noticing of the candy vessel (cal. 2), an unknown piece, enriched the arms of the United Principalities with a new motto: „By united forces", inspired by the Austrian motto „ Viribus unitis"; a new variant of the per pale shield (fr. parti en pal, germ. verschrenkt), with the valaque eagle in the honour field: 1 red, 2 blue; with a special representation of purple; scarlet purple (fr. pourpre écarlate, germ. Scharlachrot Purpur) at the two princely crowns, carmin purple (fr. pourple carmine, germ. Karminrot Purpur) al the prince's coat. The author considers the arms as a true „exercise" of heraldic science and art from the point of view of it’s heterogeneous design. The author considers that the arms with quarterly shield with in escutcheon (fr. écu écartelé avec écusson sur le tout, germ. Geviertet Schild, Arm-Schild über das ganze) represent a modern form of construction, of occidental manner. This arms contains the feudal symbols of Moldavia and Ţara Românească in a form elaborated after the classical heraldic rules. It is known that, in the heraldic art, the in escutcheon represents the blown of the oldest family. In the political condition’s of the Romanian Principalities, after May 1864, the quarterly shield with the personal arms of Cuza (containing the national colors), mise en abîme (engle. heart-shield, germ. Herz-Stelle), symbolizes, without doubt, the image of new the state and the legitimation of the new reigning house in dialogue with the heraldic Europe.